It's Shondaland, we just live in it. 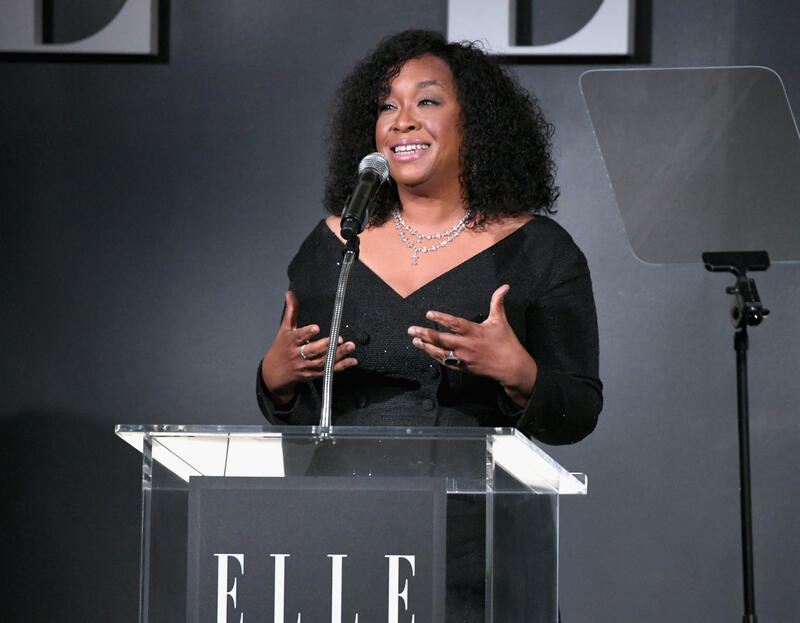 TV mogul Shonda Rhimes declared at Elle magazine's Women in Hollywood celebration in Beverly Hills on Monday that she is "the highest-paid showrunner in television." The 48-year-old power player behind hits like "Grey's Anatomy" and "Scandal" on ABC inked a deal in August to make new shows for Netflix and move her production company, Shondaland, to the streaming service. At the time, it was rumored that she was nabbing $100 million for the deal, but on Monday, Rhimes said that figure is wrong, per The Hollywood Reporter. Rhimes did not say how much she is getting paid, but seemed to suggest it's more than $300 million. That's because Ryan Murphy, who revealed earlier this year that his own Netflix deal was worth $300 million, was sitting in the audience during Rhimes' talk. She name-checked the former FX showrunner and said,"Ryan Murphy, bless your amazingly talented heart. When Ryan made his amazing deal with Netflix, what did he do? He shouted his salary to the world and he did this gorgeous cover shoot and photo for The Hollywood Reporter and he deserved every minute of it. I applaud him." But Rhimes said she had a different approach. She said, "When I made a deal with Netflix, I let them interview my salary wrong in the press, and then I did as few interviews as possible and I put my head down and worked. In other words, I hid. I'm getting this award for inspiring other women; how can I inspire anyone if I'm hiding?" Rhimes then announced that she is the highest-paid showrunner in television. She said she decided it was time for women to brag about their accomplishments, and she was inspired by "Grey's Anatomy" star Ellen Pompeo, who presented Rhimes with the L'Oreal Paris Luminary Award at the event. In January, Pompeo came forward to announce that she was the highest paid dramatic actress on television and explained how she negotiated her $20 million salary. Rhimes said, "She did not hide. She bragged. She said she was powerful and she said deserved it, and there was some blowback. There should not have been." The showrunner urged women to work together and be inclusive. She concluded, "Be a person who pulls other women, new women, different women, into your circle. Widen your circle to hold more people. Lose your judgments of who someone is based on what you've heard or what you assume. Make some friends. Find some new sisters. Come together, work together, brag together, be powerful together and whenever we can we should be lifting one another up because lifting someone up is what lifts us."